Kamran Akhter wins the Election of the Provisional Assembly of Sindh from PS-91 KARACHI-III area, And Now he/she is the member of Provisional Assembly of Sindh. Permanent Address 268 Sector D/3 Saeed Abad Baldia Town Karachi West. 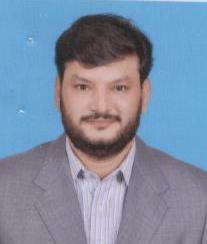 Present Address 268 Sector D/3 Saeed Abad Baldia Town Karachi West.